Winnipeg is a bustling city, full of historic centers that host interactive activities, urban warehouses that have been converted to boutiques and bars, and abundant green spaces that burst with summer concerts and festivals. While the capital of Manitoba is exciting enough, the surrounding landscape is a hiker's dream. You'll have to trek quite far from the city for these treasured trails, but we promise—they're worth the drive. This trail skirts the Seine River in Winnipeg, passing historic buildings beneath giant canopies of green. It’s an ideal place for a morning run, an afternoon jog, or an evening stroll. Follow wooden boardwalks, grassy trails and gravel paths around ecologically intriguing marshes. Hundreds of animals, including nearly 300 species of birds, call this habitat home, so respect the wildlife you encounter on your hike. You can also learn about the marsh at the Interpretive Centre. This trail is shared by hikers, cyclists and horseback riders. It covers the natural area in Bird's Hill Provincial Park, meaning the trail may be wet and mucky in some sections. This section of the Trans-Canada Trail boasts granite ridges, mixed forest and fruit-bearing trees in the fall. A diverse range of resident birds and wildlife populate the area, making it a magnet for birders. The trail runs from Pinawa Dam Provincial Park to the Seven Sisters Generating Station. On the surface, this hike looks short and easy; but the steep climbs and descents, sandy terrain and pesky poison ivy will surprise unprepared hikers. Wear proper footwear and bring plenty of bug spray to ensure an enjoyable hike. Bonus: if you want to stay awhile longer, there are camping bays right nearby. Why it’s awesome: Black bear sightings, two major trailheads and 10 campsites to sleep in! Experienced backpackers will have their skills tested on this beautiful wilderness hiking trail. The trail crosses some of the country’s oldest rock in the Canadian Shield, passing peat bogs, streams and lakes. Most hikers take three to four days to complete the entire trail. Description: This hardy climb winds through cedars and eastern white pines along the shores of West Hawk Lake. Most hikers take three hours to complete the trek, but it’s wise to leave extra time to soak in the views. Why it’s awesome: A small cascading waterfall and pleasant place for a picnic. Allow three hours to complete this hike, leaving from Jessica Lake Lodge, passing through White Lake Campground and continuing to the waterfall. Why it’s awesome: Island trails, serene cabins and a scenic golf course. Choose from a plethora of hikes, including the 1.5 km round-trip Lighthouse Trail, the 10-km return West Quarry Trail and the hearty 22-km one-way Black Wolf Trail. In the summer, you can join a guided walk through Hecla Village, cozy up for traditional campfire stories or go for a swim at white-sand Sunset Beach. Why it’s awesome: Cacti, sand dunes, high temperatures, and refreshing rain. There are a variety of trails that sprout from the main trailhead. You can trek to a canoe launch, an interpretive shelter, or Devil’s Punch Bowl, which is the highlight of the area. 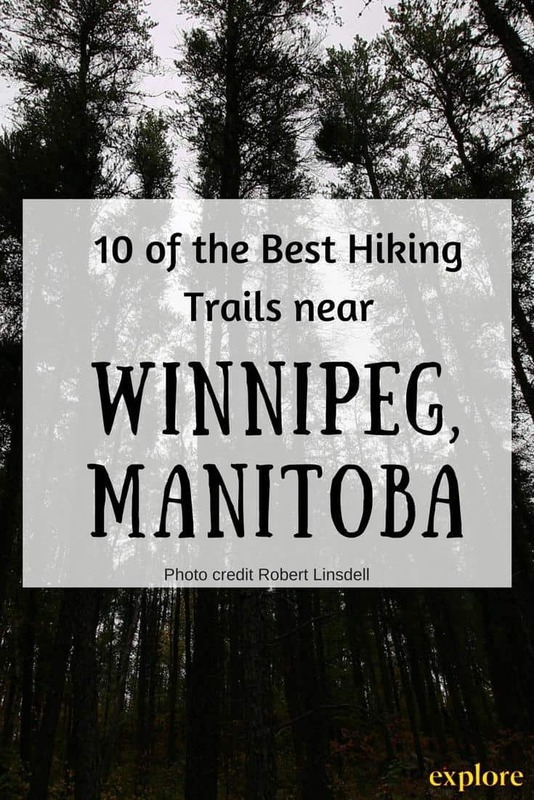 Did we miss your favourite Winnipeg-area hiking trail? Be sure to let us know - comment below! It's hiking season! Find an amazing route in this essential rundown of 60 great Canadian trails. 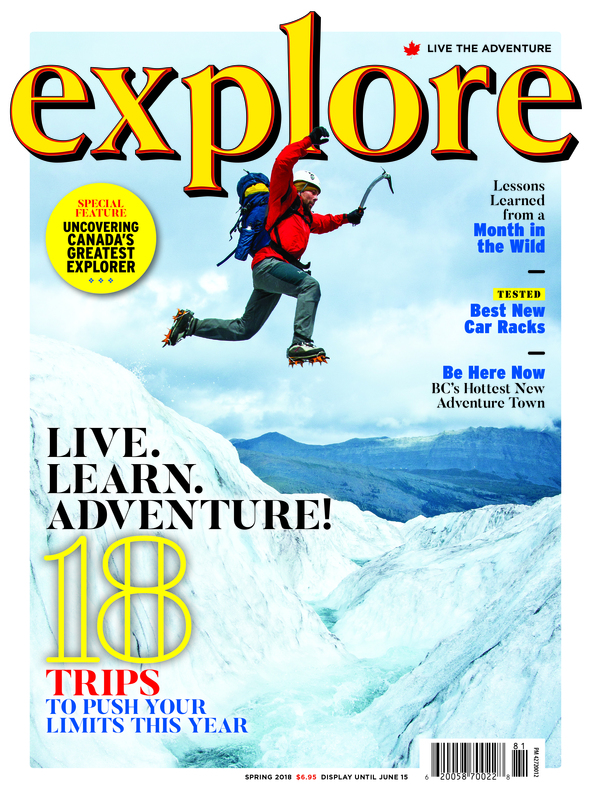 Plan your next great adventure with explore! Off the beaten path locations, tips and tricks, interviews with intrepid explorers and more. 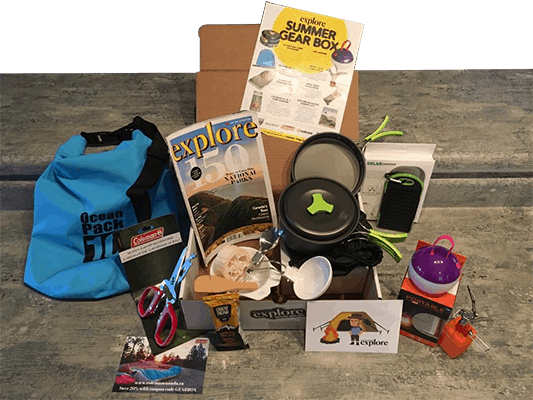 Get ready for spring hiking and camping adventures with these 13 awesome items. There's so much to explore... even right beneath our feet.